The CO2 laser emits in the infrared spectrum, having as main chromophore water from the tissues. What diseases can we treat with the CO2 laser? The principle of operation is to convert laser energy into heat. The interaction between radiation emitted by the laser source and the biological tissue is governed by physical processes that regulate the energy exchange between the laser beam and the substrate and the biological response of the target tissue. Depending on the temperature reached in the treated area, the thermal energy produced may coagulate, vaporize, or ablate. 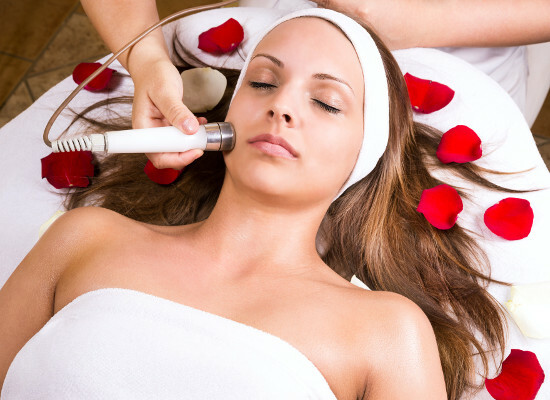 In principle, emitted heat (high fluency) is used to ablate or to vaporize tissue with high precision without diffusing it into surrounding tissues, from which we see the great advantage of laser treatment. Therefore, Laser CO2 effectively and precisely treats skin lesions, protecting adjacent areas and guaranteeing optimal wound healing, as part of the "no contact surgery" category. The advantages of the method include a low recovery time, a inconsistent need for anesthesia, very low thermal diffusion, bleeding and reduced inflammation and minimal unwanted side effects (scarring unsightly or discromic). These benefits are taken into account when compared to other surgical techniques available. Another advantage of the method is the possibility of treating areas that are more difficult to reach, such as area around the eyes, ears, nose, mucous areas. CO2 laser technology is also preferred for patients with multiple or large lesions, pacemaker wearers or those with anesthesia contraindicated.